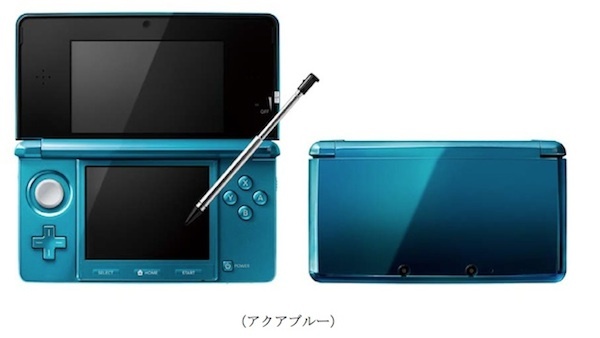 After months of waiting, we finally have all of the info regarding Nintendo’s wunderkind: the 3DS. This morning at a press conference in New York City, NOA chief honcho Reggie Fils-Aime mounted the stage and then shortly after began talking about the North American plans for this new device. What have we learned? Well, to be frank, you might want to start saving. Pilotwings is pretty exciting (the demo at E3 was really fun), as well as Resident Evil, but aside from those I don’t know if the rest of these titles are all too exciting. I suppose that Steeldiver – a submarine game – could potentially be cool, but there isn’t a whole lot of information about it yet. Luckily, games like Kid Icarus are slated to be released within that mystical “launch window,” a time that encapsulates nearly three months. Three months from when? March 27. Put a big circle on your calendar for that day. It’s a Sunday, by the way, so get ready to stand in line at Best Buy with a ton of other nerds on Saturday night. At least it launches in the springtime for most of us. The unfortunate thing is that the “launch window” goes all the way up to E3, which will be in June. It has been stated, however, that there should be about 30 games released in this timeframe. One other big change comes from the friend code system. No longer are you forced to input several codes for every game and every person. Now there is one system-wide code (similarly to the Wii), and apparently you will be able to see who is playing what. One step closer to modern day gaming. Now to the last bit: the price. Rumors over the half year have speculated that the 3DS could go from $200 to $400, but we now know, especially if your sleuthing skills of the title of this post are in tune, that come March 27, you will have to shed $249.99 to get your hands on this eye bursting console. That, of course, is sans game, so look to save about $325+ to cover a game and tax. That’s quite the entry fee. Is that low enough for mom and dad to throw away on Billy? Nintendo plans to put 5,000 units into stores between now and then, so you should definitely go play with one before making your decision. From first hand experience I will say that the little bugger is really interesting and something everyone should play at least once, but it remains to be seen if it is $250 worth of interesting.